You are unique and special in every way, but you could potentially be even more special if you have a certain letter right in the palm of your hand (literally). You will notice by looking at the lines that grace your palms, that they’re almost like a work of art. They bob and weave, curve in one spot, and appear perfectly straight in another. Above all, this unique set of creases is all our own, which makes us all pretty special to begin with. Look at your palms again. Do you see the letter M anywhere? One that resembles the following image? If the answer is a resounding Yes!, then we have some great news: you’re gifted! Yay! Not everyone have such a defined marking, it’s even kind of rare, and those who do have one are said to be special. They are blessed with good fortune and thrive in the careers they choose because they have strong self-motivation and discipline. They are seen as gifted individuals who hold extraordinary intuition and because of this they make strong business partners in any endeavour they set their heart and minds to. People whose palms have the letter M are masters at seeing through lies and deceit. Not much gets past them and they almost always figure out if someone is less than honest, lying, or cheating. This sense of intuition is often stronger in women than in men, but it comes down to the individual. Overall, the letter M has long been associated with the aforementioned traits, as well as; leadership, good fortune, riches, and excellent prospects. 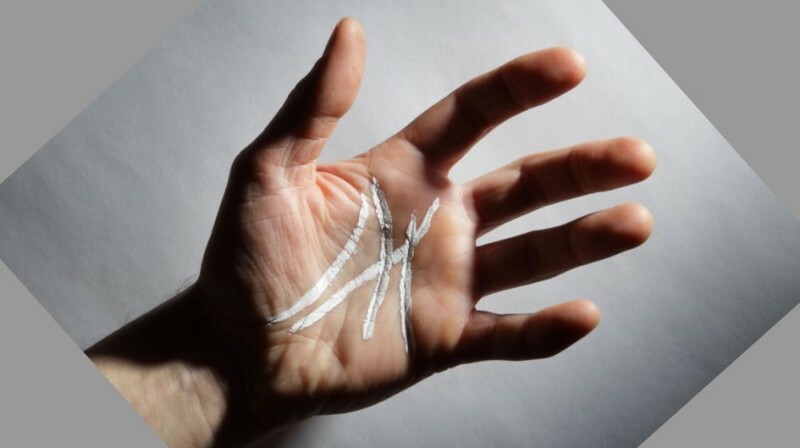 Based on traditional sources all the seers ever had the M sign on their palm. If you are one of the people who have the letter M on their palm you should know that you are very gifted person. Look carefully at your palm. Sometimes, the Head, Heart, and Life lines intersect in a highly specific way, and seem to shape a letter “M” in the middle of the hand. Finding this shape on your hand indicates that you will make a great fortune in your lifetime, and will reach a position of very high status in society. There are many ways that these lines can intersect, but the “M” formation is one of the rarest and most fascinating forms. An “M” might appear on one or both hands. To find out whether you have an “M,” you need to first look for your Life Line. This is the line that curls around the base of the thumb, down towards your wrist. 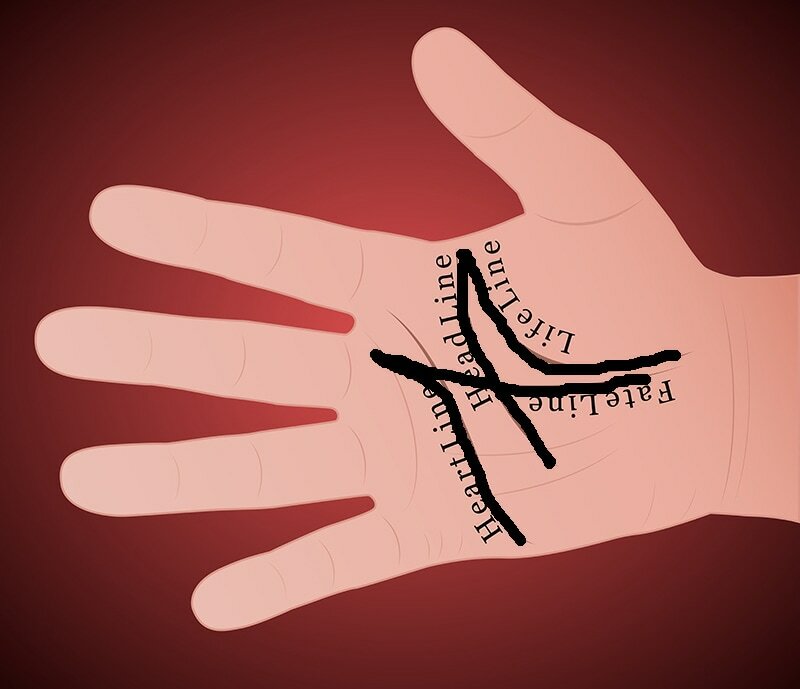 Your Life Line might be doubled, broken, or crisscrossed with smaller lines. This line predicts your health and longevity, and also might show the trajectory of your future. Next, find your Head Line. This line generally cuts across the middle of the palm, and may look straight or be slightly curved. Usually, it starts at the same point at your lifeline, between the thumb and the index finger. This line indicates how you make decisions, and what kind of willpower you have. Next, you will need to look for a very small and rare line, called the Line of Fate, or the Saturn Line. Not many people have this line, which is part of the reason the “M” is so rare. This line cuts across the palm from bottom to top, more or less straight. For some it’s just a small crease, for others it may stretch all the way from the base of the palm to the bottom of the middle finger. This line indicates that something you have no control over will greatly affect your life. The last line that you need to look for is the Love Line, which describes your relationships and family life. Typically, this line starts between the index and middle finger, and curves down to end right under your pinky. If these four lines link up in the shape of an “M”, that means that your life has intersected to create the perfect environment for incredible wealth and power in society. This rare shape might just mean that you have a very rare fate indeed!